Today I just heard some fantastic news....Jonathan Adler has recently opened up a showroom in Fashion Island in Newport Beach. I always get excited when new fun places to shop pop up close to home. 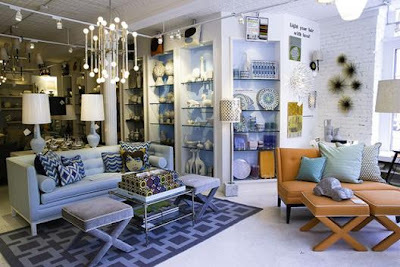 Jonathan Adler is known for his bold use of color, modern lines, and funky pottery. While blog surfing today, I also found out that my friend Aubrey Messick got hired as the showroom manager. Ok, so we're really more of aquaintances, but I did eat crepes at her birthday party this past year, so that counts for something. I can't wait to stop in, say hello, and check out the new space!